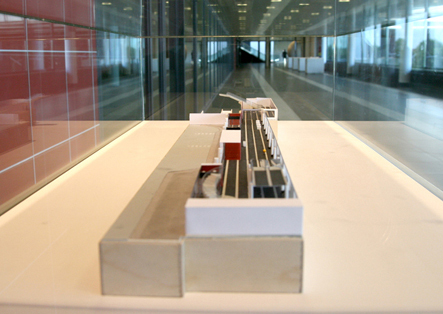 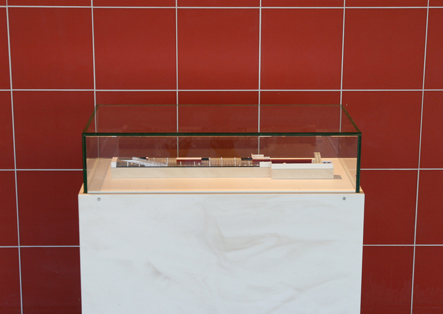 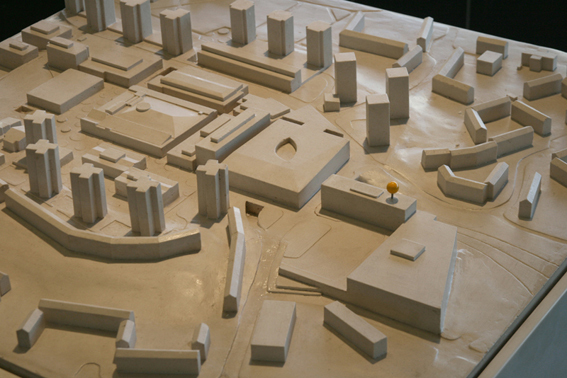 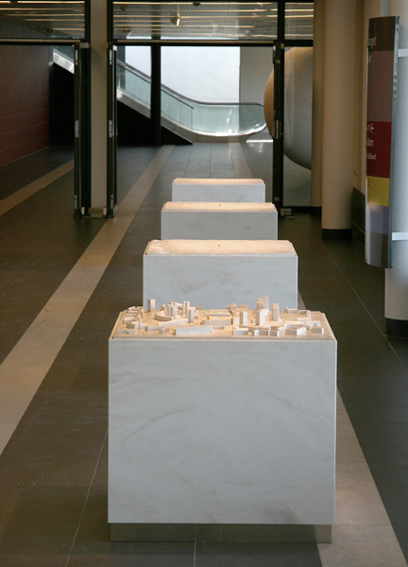 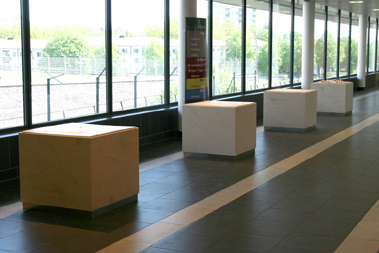 # Podiums with reliefs/models describing a vertical rising from Vällingby city to space in four steps. 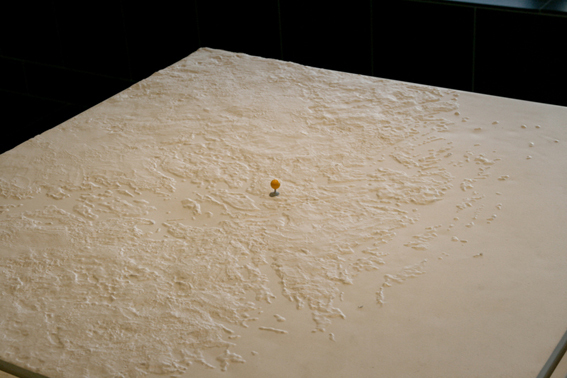 The yellow pin shows the exact location of the passage on each relief. 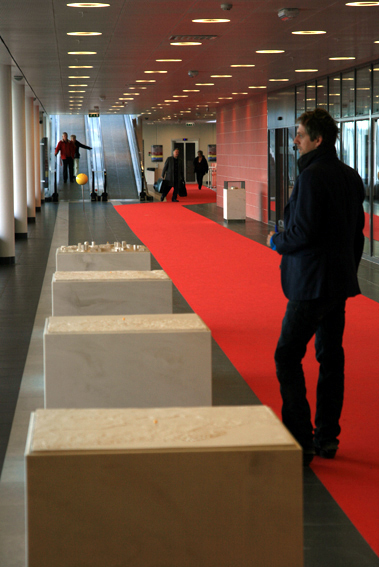 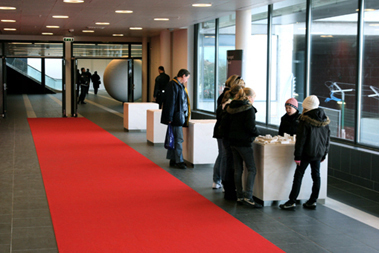 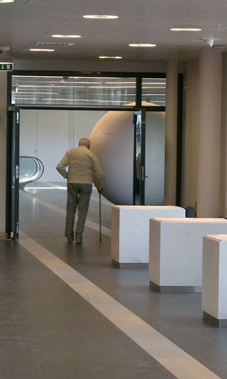 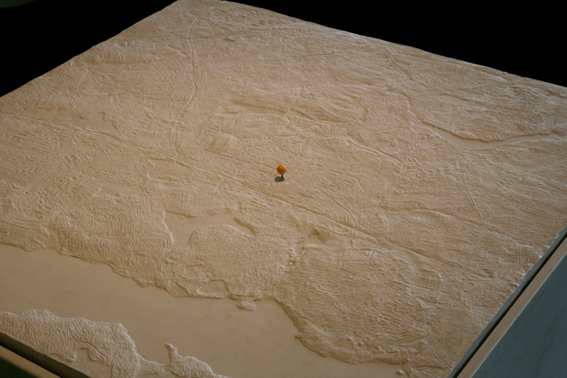 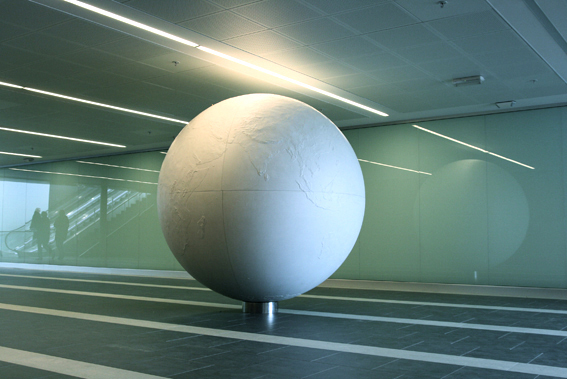 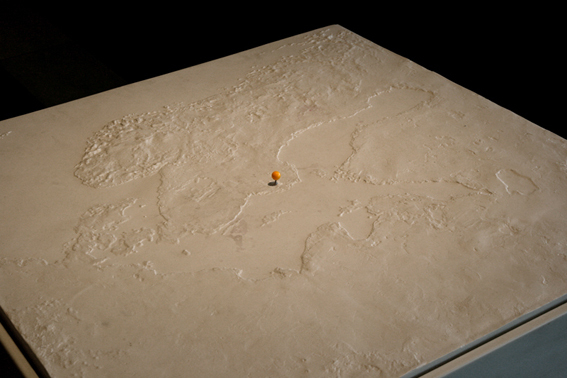 # The seventh part of the installation is a globe in relief, measuring 235 cm in diameter. 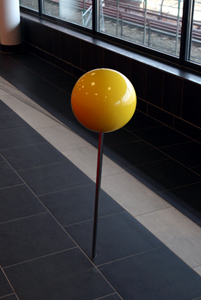 A yellow pin shows the exact spot of the passage.